The tech giant says that regulators should leave its interactions with local telecom companies alone. South Korea’s top antitrust watchdog should not interfere in business dealings between Apple and local mobile carriers, which should operate by market rules, Apple’s legal representative in Korea said. “The FTC should not waste its resources on business dealings legally made by the market mechanism and based on long negotiations between Apple and Korean telecom companies (SKT, KT and LG Uplus),” Oh Keum-seok, a partner at Seoul’s BKL law firm that represents Apple, told The Korea Herald. “If Apple faces sanctions from the FTC, this will set a bad precedent for foreign companies doing business in Korea,” he said. The remark comes before the Fair Trade Commission’s second council is slated to take place. During Wednesday’s council, Apple will defend the case brought by the FTC, which suspects that Apple Korea has unfairly passed the costs for iPhone sales, including advertising costs, launch events and repair costs to local mobile carriers. After raiding the Apple Korea office twice, in 2016 and 2017, the FTC sent an examination report to the firm in April of last year to seek an explanation over alleged unfair practices. “All the current business practices (between Apple and telecom firms) are made based on the contracts signed more than a decade ago when Apple first came to Korea. At the time, Apple was not in a position to make contracts to its advantage because the local handset market was dominated by Korean firms, Samsung and LG,” Oh said. Apple’s iPhone first came to Korea in 2008 via local mobile carrier KT. Subsequently, SKT and LG Uplus signed deals with the US handset maker in 2011 and 2014 respectively. Apple claims the articles of the contracts have not changed since, although the amount for advertising costs borne by mobile carriers has increased in proportion to the rise of iPhone’s market share in Korea. The detailed amount is not open to the public due to confidentiality, the lawyer said. For the second council, FTC Chairman Kim Sang-jo has said he would review the issue from an economic perspective. Both FTC and Apple will accompany economic professors. “We are confident our argument will be more persuasive when the case is viewed from the economic perspective. This is because Apple fully abides by market rules,” he said. The third and last council is estimated to take place at the end of next month, upon which a determination will be made on a penalty. If Apple is convicted, the firm is subject to a fine of up to 2 percent of related sales. 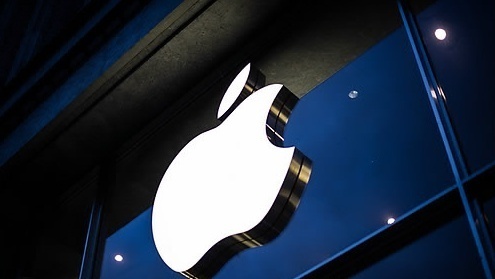 On top of a fine, the FTC may or may not decide to impose corrective measures that would require major changes in the transaction terms, which Apple fears would have a greater impact by setting a precedent in the global market. The FTC declined to comment, as the councils are ongoing. In other nations, Apple faced a penalty of 700 million won ($620,000) in Taiwan in 2013 for controlling iPhone costs and was imposed with a fine of 64 billion won in France over unfair practices against carriers last year.